Yes, it is finally the start of 2019! If changing up your home decor is up on your new year’s resolutions, consider attaining that with our laminate sheets. With our eclectic range of laminates, there are a myriad of ways that you can use to take you a few steps closer to getting the home of your dreams this year. 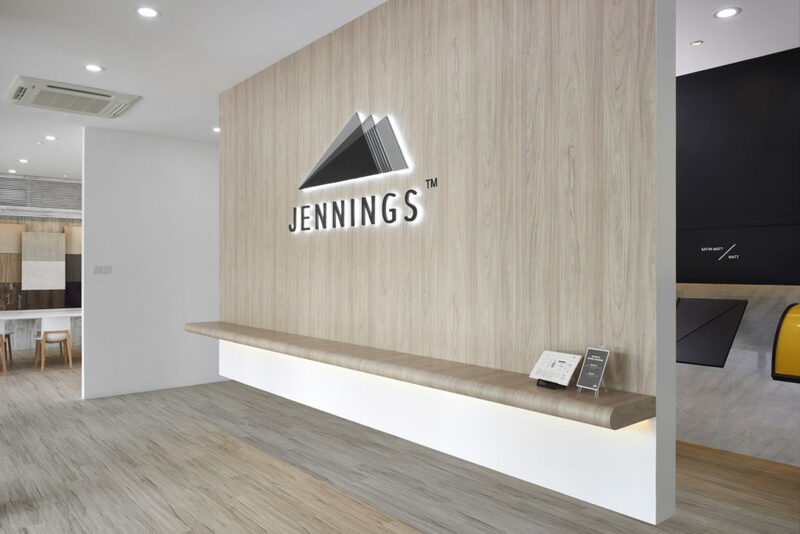 To kickstart your laminate journey with Jennings, take a look at some of our inspiration examples to make things a little easier for you. Personalising the wall above the sofa with your favourite colours makes your sitting room stand out. Rather than colourful artwork, opt for functionality with shelves and you can make it interesting by playing around with different colour laminates. The darker Nebula (RR7800VF) and Mercurio (RR7813VF) laminates injects bold accents into this neutral palette. Splashes of Camellia (RR7801VF) pink laminates perks things up a little more and ties the entire look together. These laminates will help to make an eye-catching focal point out of the empty canvas above your sofa. The idea of dark walls may seem a little intimidating at first thought but in fact, they can make your space more intimate and cozy. 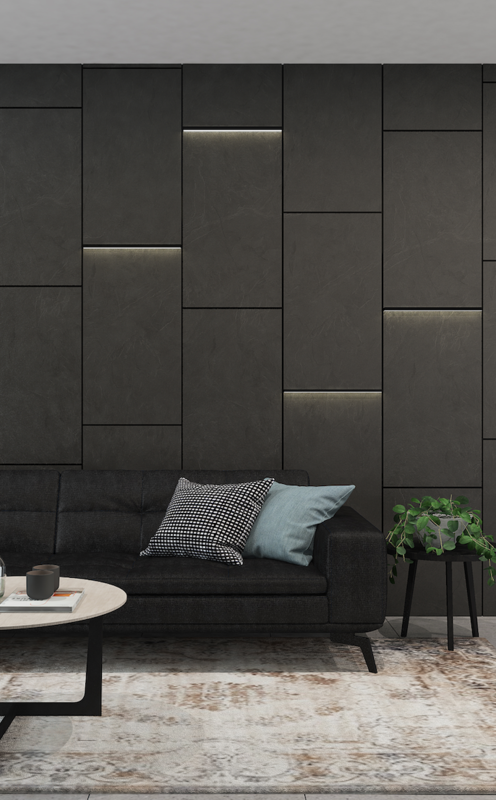 Dress up your bare walls with Tangslate (PQ2518M) laminates. Applying these industrial laminates is a gorgeous way to coordinate with your existing black furniture. This entire setting makes it way more tempting to curl into the sofa’s beckoning embrace. Finally, the accent lighting adds an interesting touch to the feature wall. Sorvette Wood Perle (WPL2801ST) industrial laminates. They help you achieve the right level of balance beautifully, and lesson the attention-grabbing side of the red laminates. Together, this pairing of calming and invigorating colours makes it perfect for one concentrate on her work. Here’s to making your sleep environment more comfortable! For instant cosiness, you can use the extra space beside your bed to make it more inviting. 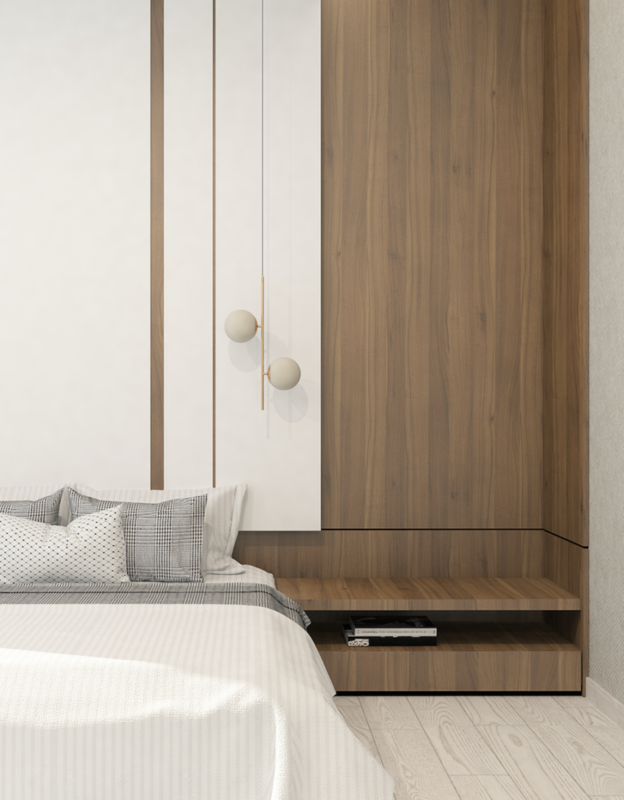 Installing Antik Ceviz (WPL2667ST) laminates on the ceiling-to-floor shelves offers elegant lines running down its surface, its rustic shade enhancing the comfort level of the bedroom. This sure beats having a regular bedside table. These bold wood laminates makes an attractive feature, especially if your bedroom is lacking pattern. Now that you are well-equipped on how to make full use of the space in your bedroom, are you ready to make a trip to our laminate gallery? With the new year, it is the perfect opportunity to update your home. It is certainly never too late to spruce it up a little more to celebrate the beginning of another chapter.